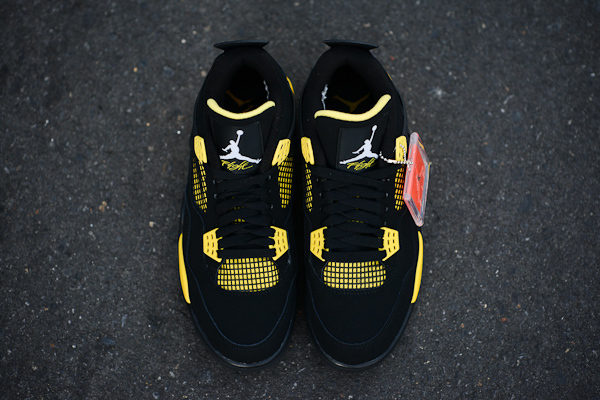 Following this Friday's long awaited return of the Air Jordan XI, the Jordan Brand will be reissuing the popular "Thunder" AJ 4 Retro we last saw in 2006. 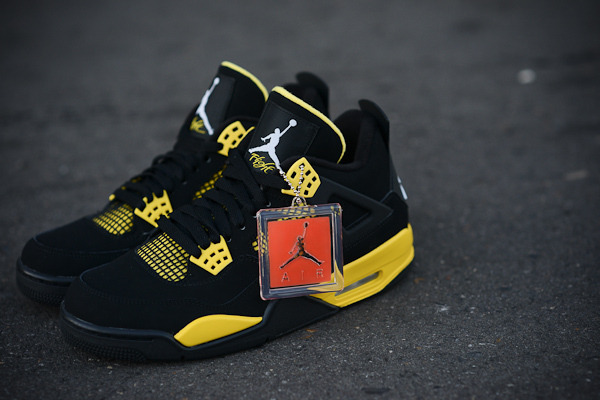 Unexpected but still welcomed, the 2012 "Thunder" Air Jordan 4 Retro arrive just as they did back in 2006 with a full durabuck constructed upper. The highly coveted colorway is brought to life with a predominantly black upper, while tour yellow handles the eyelets, tongue liner, underlying areas and midsole below. 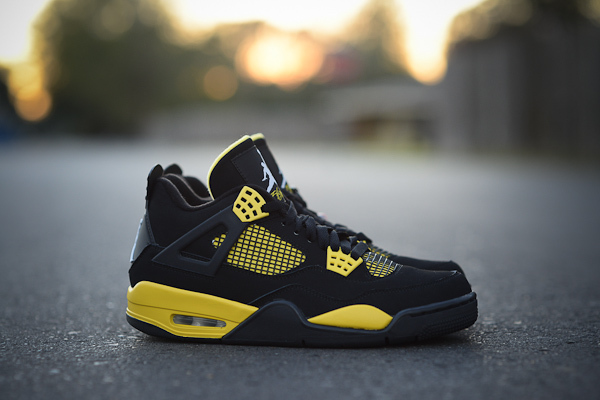 The "Thunder" Air Jordan 4 Retro is scheduled to release December 22nd at select Jordan Brand accounts nationwide.